The EURO-2012 plans push up Ukrainian horeca industry towards aggressive expansion. With over 300 hotels that need to be built by 2012, now three world-renown hotel chains plan to build over 40 Western-style hotels in Ukraine during the next few years. Belgium’s Rezidor Hotel Group, France’s Accor and the American InterContinental Hotels Group have now started working on nine projects, with three more to begin in 2009. But even though Ukraine’s hosting of the upcoming EURO-2012 football championship has raised interest in the market, the new projects are meant to fill growing overall demand and offer higher quality in a country where absolute majority of hotels are renovated premises from from the Soviet days. The Rezidor Hotel Group of Belgium, which already operates one hotel in the country, Kyiv’s Radisson SAS, announced the most ambitious expansion plans of the three hotel chains. The Belgian company plans to open eleven Radisson hotels and sixteen Park Inn hotels throughout the country according to Darren Blanchard, business development director for the Rezidor Hotel Group. The Redizor company also operates the five-plus-star Regent and five-star Missoni hotel brands. Rezidor plans operating the Ukrainian hotels under management contracts with local partners. 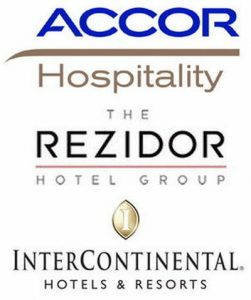 All four of Redizor’s hotel brands will operate in Kyiv while Radisson SAS and Park Inn hotels will be opened across major Ukrainian cities including Kharkiv, Dnipropetrovsk, Odesa, Donetsk, Zaporizhia, Yalta and Lviv. Park Inn hotels will be also opened in other smaller Ukrainian cities where touristic attractions will continue to raise demand for quality hotel services. Accor of France is currently working with Ukrainian business partners to build its five-star Sofitel brand hotel and two three-star Ibis hotels in Kyiv. Accor plans to build four-star hotels in Ukraine’s cities with over one million residents which are Kyiv, Dnipropetrovsk, Donetsk, Odesa and Kharkiv. The InterContinental Hotels Group is backing two hotel projects in Kyiv, a Holiday Inn and a five-star InterContinental hotel. Developer Toronto Kyiv plans to complete construction of the Holiday Inn in 2009. In addition to the InterContinental,? a five?­star Fairmont brand hotel will also appear in Kyiv by the end of 2009 at an investment of more than $150 million. More than 1.5 million tourists visited Ukraine in 2007 and over 2 million are expected this year. More business travelers are also arriving, in line with larger inflows of foreign investment since the Orange Revolution of 2004 and with the growing market opportunities in all industries and across Ukraine. More than 100 hotels currently operate in Kyiv, but most of them do not even match the 3-star level servicing. Kyiv now offers only four hotels with services stated to be at the fivestar level:? the Hyatt Regency, Premier Palace, Radisson SAS Hotel and Opera Hotel. Recently opened four-star Riviera hotel is probably the only one to fill the gap between the fivestars and the Soviet style hotels in Kyiv.